Replace your empty propane tank with the King Flame 10 lbs. 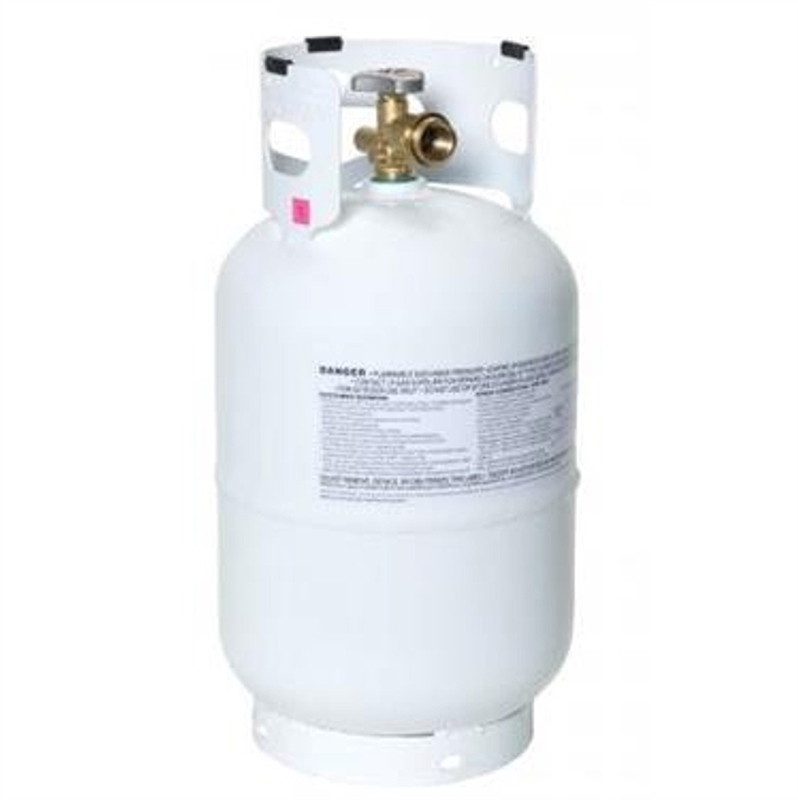 RV Propane Tank - with Type 1 Overflow Protection Valve. This tank is constructed with heavy-duty powder coated steel to withstand many weather conditions. Great for use on all of your gas RV appliances. Pre-purged vacuum ready for filling with LP Gas. High grade steel welded construction. Premium OPD valve assembly. Powder coating for long lasting exterior protection. X-ray and hydrostatic tested. DOT certified for 12 years. 10 lb. RV propane tank. Dimensions: 16.8" x 9.1" x 6.5". Weight: 14 lbs.